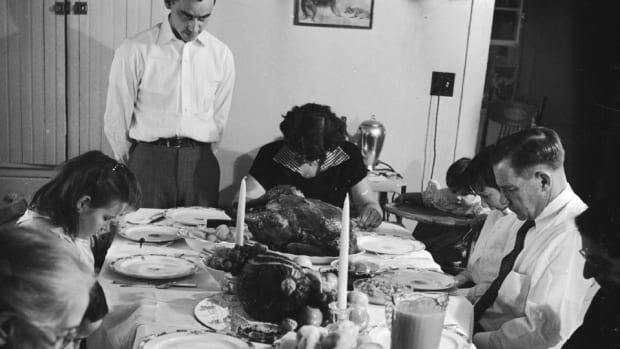 An American family saying pre-Thanksgiving grace, circa 1955. Turkey and tribalism is an uncomfortable combination. It&apos;s hard to have a relaxing family meal if you are gritting your teeth and trying to be pleasant to relatives who support a candidate you loathe. What can you do? Well, for Thanksgiving 2016—which fell just weeks after the surprise election of Donald Trump—many Americans turned to a time-honored tradition: avoidance. New research estimates Americans who spent their holiday with relations who voted for the other party cut their visits short by an average of 30 to 50 minutes, compared to the previous year. This trend was exacerbated when the people involved lived in contested areas, and thus were subject to a heavy barrage of political advertisements. "Political polarization is increasingly degrading our close connections with friends and family," said M. Keith Chen of the University of California–Los Angeles, who co-authored the study with fellow economist Ryne Rohla of Washington State University. Their research is published in the journal Science. The study utilized data from a common high-tech device: our cell phones. To get precise measurements of time spent at family gatherings, the researchers tracked cell phone "pings" that reveal a person&apos;s location at a given moment. Middle-of-the-night data allowed them to determine whether the phone&apos;s owner lived in a Democratic- or Republican-leaning political precinct. 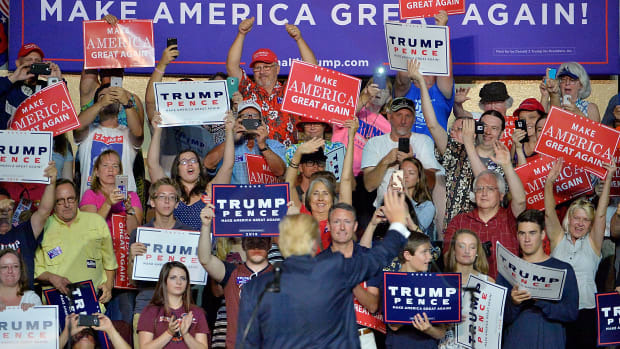 Data recorded on the Thanksgiving afternoons of 2015 (a non-election year) and 2016 revealed whether the owners were traveling to ideologically hostile territory. Of course, not everyone in a GOP-leaning neighborhood actually voted for Trump, and vice-versa. But given the ideological sorting that is now common, the data provides a reasonable estimate of how people reacted to sitting in the same room with partisans of the other party. For many, their reaction was to excuse themselves early. After taking into account demographics and driving distances, the researchers concluded that "families that were likely to have voted for different presidential candidates spent about 30 to 50 fewer minutes together, subtracted from an average Thanksgiving dinner of 4.3 hours." 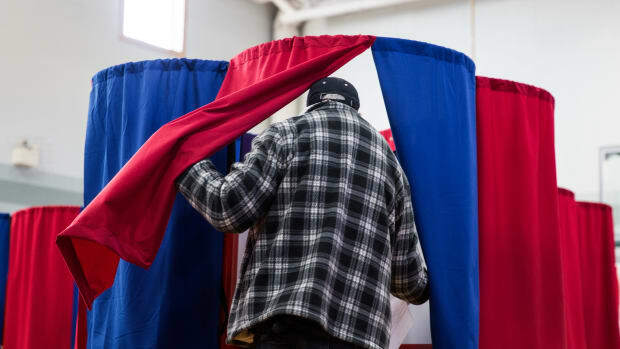 Residents of Democratic-leaning precincts shortened their visits to Republican-leaning precincts by about 20 to 40 minutes, while people from GOP-leaning precincts cut their trips to Democratic-leaning precincts by 50 to 70 minutes. 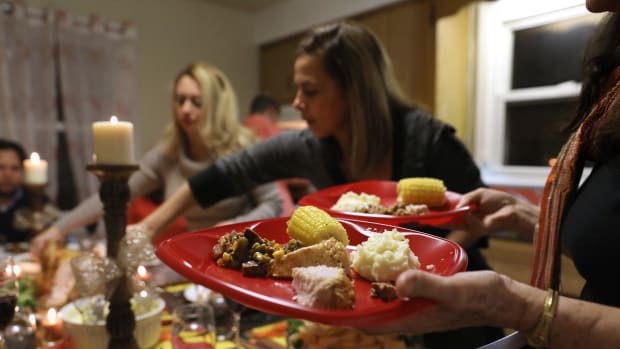 In addition, "cross-partisan Thanksgiving dinners are further shortened by around 2.6 minutes on average for every 1,000 political advertisements aired in the traveler&apos;s home media market," the researchers add. "Some media markets in swing states saw more than 26,000 ads over the course of the campaign, implying a 69-minute shorter Thanksgiving dinner for vote-mismatched families in Orlando, for example, compared to those in markets without advertising." Altogether, they conclude, "an estimated 33.9 million person-hours of cross-partisan discourse was eliminated, perhaps creating a feedback mechanism by which partisan segregation reduces opportunities for close cross-party conversations." 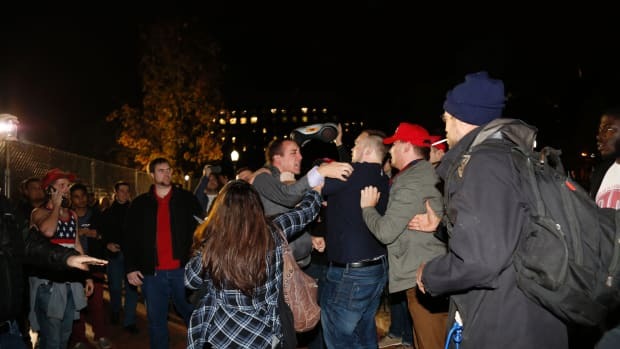 While you can&apos;t blame people who wish to avoid heated conflicts with close relations, this represents a lost opportunity to share ideas with people who think differently—and maintain connections that have nothing to do with politics. "Personally, I think it&apos;s concerning," Rohla said in announcing the findings. "To me, it&apos;s a symptom of a broader decline in the social fabric of the United States." We can all wish for a less tribalized society, but it&apos;s harder to make that a reality if we don&apos;t stick around holiday dinner long enough to find the wishbone. 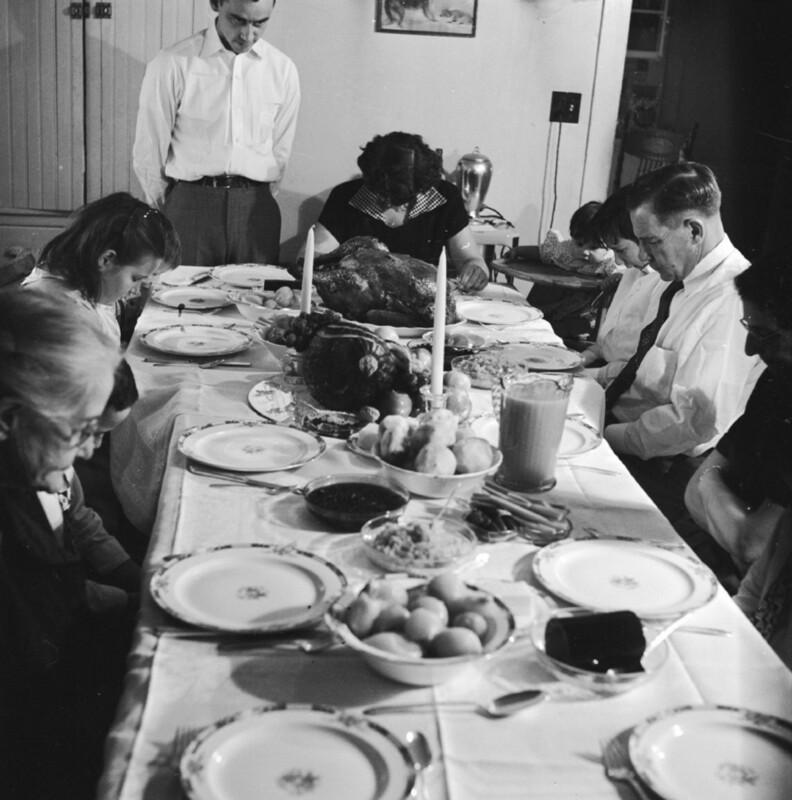 This Thanksgiving, skip the extra beer and take the higher ground in your family debate; chances are, your relatives will follow your example. New research finds liberals and libertarians are particularly prone to reflective thought.